Additional Details: OPEN TO ROTATIONAL OR ON-DEMAND POSITIONS ON LARGE CABIN BUSINESS JETS. 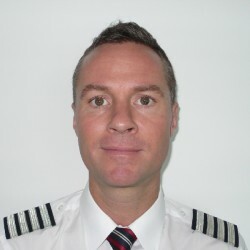 Captain with more than 24 years of flying experience in a multitude of Aircraft Operations in Worldwide International Heavy Jets on Boeing 747-400 and Airbus A330 and Regional Turboprop Airline Operations, with two world class Airlines; African Bush Flying on King Airs and Caravans; and extensive Worldwide Private Jet Operations on large cabin Gulfstream G650 & G550s and Cessna Citation Jets. Experienced in Acceptance and Entry Into Service of Gulfstream aircrafts as well as development of Type Specific Operations Manuals. Experienced in “Owner Operated” flying on Gulfstreams and Citation Jets. * Experienced in Worldwide Flight Operations including Russia, China, Africa and Middle East.